OPAL Translation has more than seven years of experience in providing Danish translation services. We have translators and project managers with the right skills, specialisations, qualifications and experiences to handle your translation projects. We are fast, reliable and affordable. Try our Danish translation services today and be one of our hundreds of satisfied clients. 1. How fast can you translate my document? Our translators can finish your Danish translation in 2 to 3 working days. If you need an urgent translation service, we have Instant and Express Danish translation services. Avail today and receive your certified translation through email within 24 hours. 2. What documents can you translate? We translate documents such as academic transcripts, marriage certificates, driver’s licences, diploma certificates, police clearances, ID cards, birth certificates and others. We are not restricted to these document types; we also cover business translations. 3. How can I get a free quote? Look for the free quote form placed on this page and fill in the required details. Include your requirements such as turnaround time, language and other requests in the message box. Take a photo of your document and attach it to the form. You can also upload a soft copy of your document. In 15 minutes, check your email. We will send you the exact quotation for your translation request. 4. 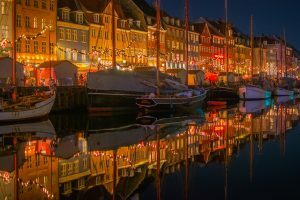 How much is your Danish translation services? Our Danish translation services start for only AU $69. Our translations are one of the most affordable in Australia. Since we entirely offer our Danish translation services online, we can provide a low price for our services. Our pricing varies according to each document’s translation requirements such as the deadline for translation, subject coverage, number of pages, and others. You can get a quotation for your translation by simply completing the form found on this Danish translation page. 5. Do you have NAATI Certified Danish translators? Yes, we do! We made sure to hire the best NAATI accredited Danish translators. There’s no need to look further. OPAL Translation has translated thousands of documents that have 100% acceptance rate by Australian authorities and institutions that lists NAATI translations in their requirements. 6. 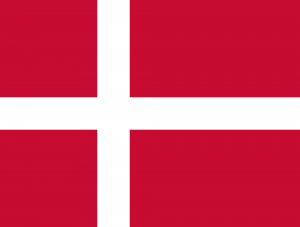 How can I order your Danish translation services? You can order by completing the free quote form on this page then follow the steps below. Upon receiving your translation quote, you can order one of our Danish translation services by completing your order through PayPal funds transfer, online bank transfer or credit card payment. We will start with the translation after payment verification. After completion, a draft of your document translation will be sent to your email. We will need you to check the draft and let us know if it satisfies your requirements. Once we receive your approval, we will send you the soft copy of the final translation through email and a hard copy by post. If you have other questions, you can chat with our customer support on our Live Chat. All of our representatives strive to reply in just a few seconds, so ask away. Danish has three other vowels aside from the five vowels in the Roman alphabet. These are Æ, Ø, and Å. The English word ‘you’ has a formal and informal Danish translation. De is the formal Danish translation while du is informal. Danish loves to compound words. You can create a new word by simply adding other words together. In 1948, the letter å was added to the Danish alphabet. Instead of 10, the Danish counting is based on the 20s.